DJ is some nondescript fellow on turntables getting the party rocking. DJ Don X trumps that. Born Damola Epemolu in Paris, France, he spent his growing years in Lagos, Nigeria, has traveled the globe to experience music internationally. He is influenced by world music and now residing in North America, DJ DON X brings to the party his world view to get everybody moving. 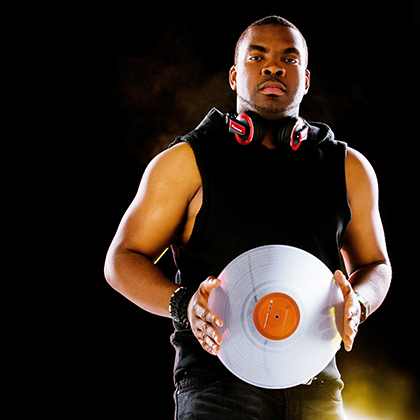 This DJ is an international DJ to the stars and the DMV (D.C., Maryland and Virginia) community. Receiving inspiration from top DJs like Tiesto to the respect from his hometown Nigerian DJ Clan, he mixes everything from techno to R&B and even a little Latin to keep the crown moving and singing along.